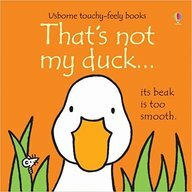 Part of the bestselling, touchy-feely Thats not my...series, which has sold millions of copies worldwide. Simple, repetitive text helps children to associate the adjectives with the sensation of touching the tactile patches. Illustrated in Rachel Wells typical, bold style.